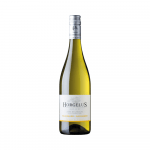 The Domaine Horgelus Colombard Sauvignon Blanc Côtes de Gascogne is a white wine from Côtes de Gascogne produced by Domaine Horgelus of the best of sauvignon blanc and colombard grapes. The Domaine Horgelus Colombard Sauvignon Blanc Côtes de Gascogne is the ideal white to combine with cakes and pastries and white meat. Uvinum users reviewed this white wine with 4 of 5 points. What are the opinions of other vintages or volumes of Domaine Horgelus Colombard Sauvignon Blanc Côtes de Gascogne?